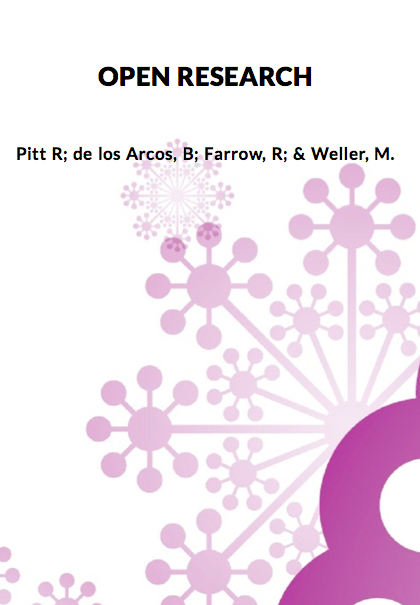 Authors: Pitt, R; de los Arcos, B; Farrow, R & Weller, M.
Book Description: Open Research is an open textbook based on the award winning course of the same name. The course ran two facilitated iterations during 2014 and 2015 on Peer 2 Peer University (P2PU). Open Research was co-authored and delivered by the OER Hub team, leaders in open education research and open research practices. Pitt, R; de los Arcos, B; Farrow, R & Weller, M.